Bermaz Motor has just lifted off the veil on the new 2018 Mazda 6 Facelift. 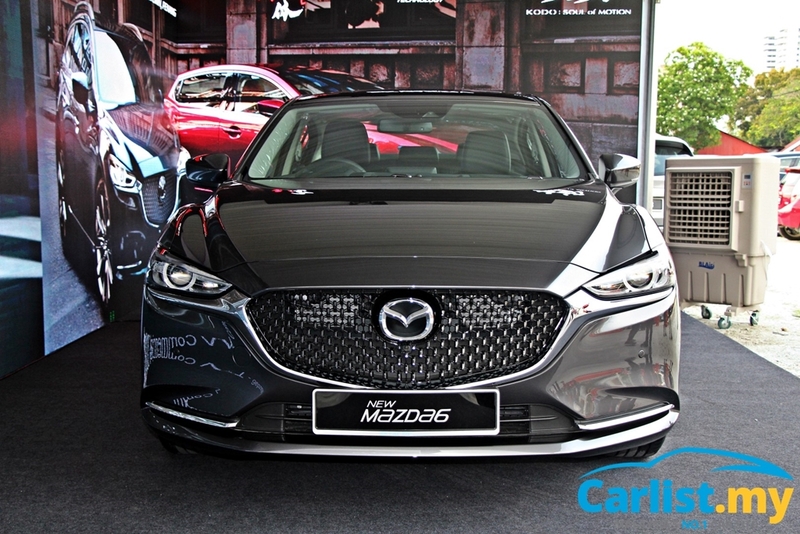 The preview event, which also formally launched the new Mazda CX-3, was held in conjunction with company’s opening of its new 3S centre in Jelutong, Penang. For 2018, Bermaz Motor maintains the four-variant line-up that also continues with the existing engine choices of two petrol and one diesel. 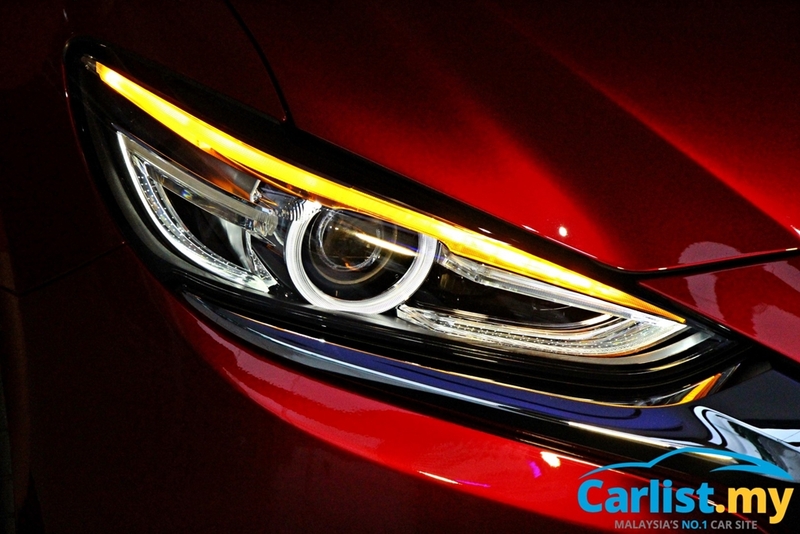 Visually, the new Mazda 6 is differentiated from the pre-facelift model with a more matured front-end through the redesigned grille, front bumper, and new LED head lamps. Subtle changes have also been made to the tail lamps and rear bumper. The exhaust tips have been positioned closer to the outer edges of the bumper. 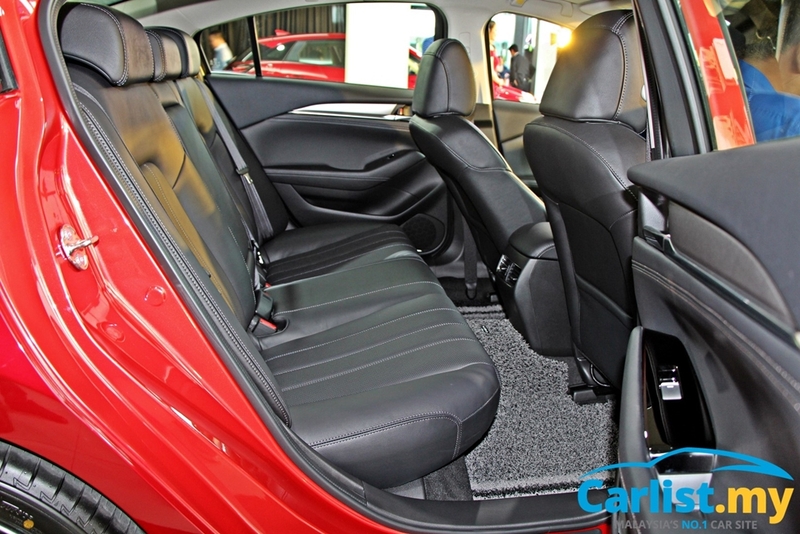 The biggest change is reserved for the interior, now even more luxurious than before. The new dashboard with premium materials and design details extends into the doors in one seamless pattern, while the seats have also been redesigned to offer better comfort and reduce fatigue.  The Mazda Connect infotainment display has been enlarged to an eight-inch colour display and also projects the image of the 360-degree View Monitor. A coloured Head-up display, which Mazda terms it as the Active Driving Display, now projects information to the windscreen rather than on a retractable panel. 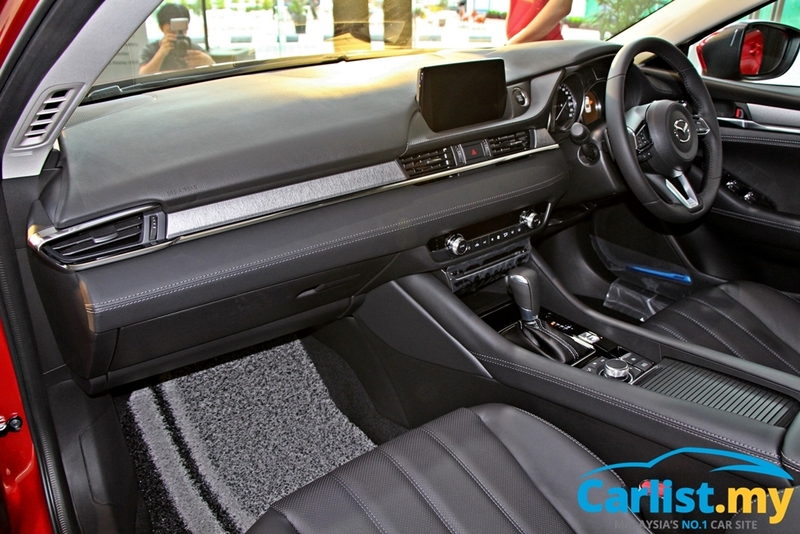 A 4.6-inch colour multi-information display is also standard in the 2.5-litre and 2.2-litre models. Noise intrusion into the cabin has also been extensively reduced through the usage of thicker door panels, new outer glass, new headliner, and new door seals. 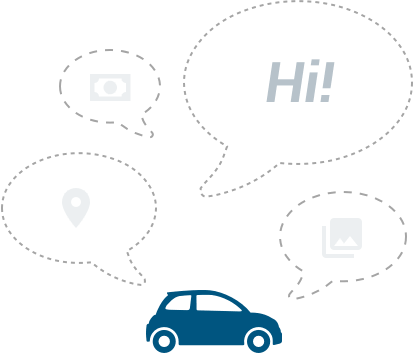 In terms of updated safety features, the autonomous emergency braking now works in reverse too! Only available at parking speeds, the Smart City Brake Support - Reverse (SCBS-R) applies full brake pressure to prevent or at least minimize collision impact if the sensors detect the Mazda 6 is approaching an obstacle behind it. Maximum outputs for both petrol engines have also been increased- the 2.0-litre now delivers 162 hp and 213 Nm of torque (up from 153 hp/200 Nm) and the 2.5-litre now has 192 hp and 258 Nm of torque (up from 185 hp/250 Nm). In terms of fuel consumption, the 2.0-litre requires 6.5 litres per 100 kilometres, while the larger 2.5-litre requires 7.0 litres per 100 kilometres. 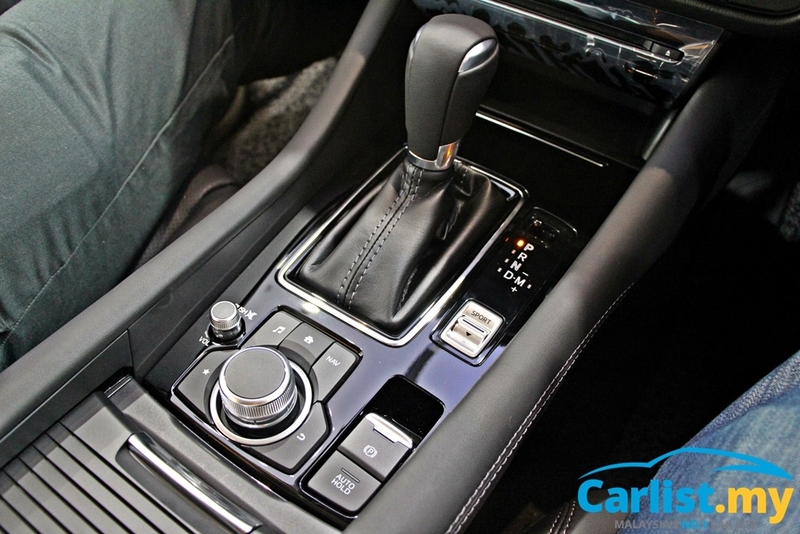 The turbocharged diesel engine also sees gains in maximum output. A whopping 450 Nm now spins the front wheels, up from 420 Nm. Maximum power meanwhile increases to 188 hp from 173 hp. This high-performance diesel engine can only consume low sulphur Euro 5M diesel and returns a very attractive 5.2 litres per 100 kilometres on the combined cycle. The turbocharged 2.5-litre petrol engine that was launched in the USA and Australia is not making its availability here, only in the new flagship seven-seat CX-9 SUV. 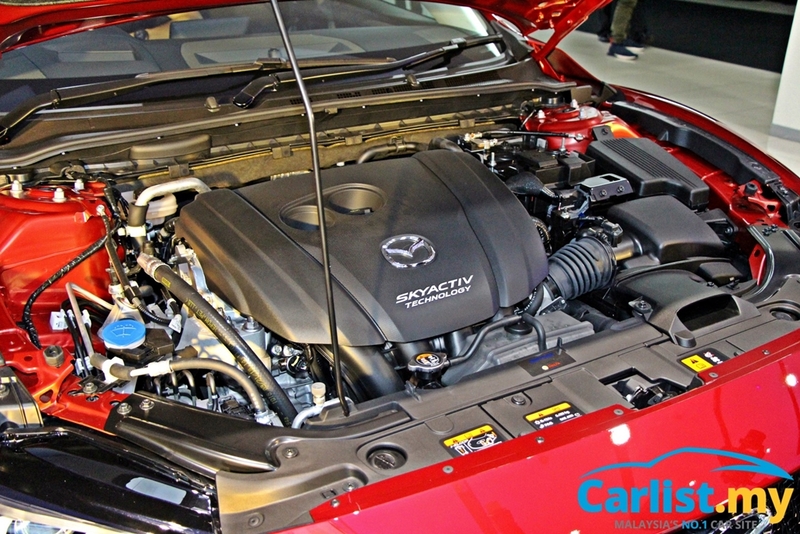 All engines continue to drive the front wheels via the Skyactiv-Drive six-speed torque converter automatic transmission with manual-shift and sports mode, along with Mazda’s G-Vectoring Control (GVC) technology. Meanwhile, the 2.2 SkyActiv-D sedan model mirrors the features on the 2.5-litre sedan but omits the Sport Mode and i-Eloop energy recovery technology. Subtle differences on the touring and sedan are the radio antenna and lighting technology in the tail lamps. The Touring also comes with a retractable tonneau cover. 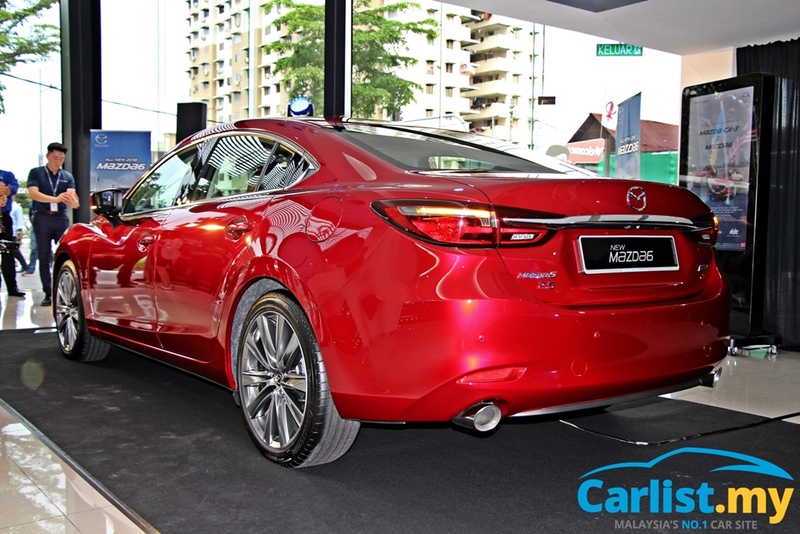 The new Mazda 6 is available in a choice of seven colours, with the new Soul Red Crystal replacing Soul Red. Other colours are Snowflake Pearl White, Sonic Silver, Jet Black, Deep Crystal Blue, Machine Gray, and Titanium Flash. 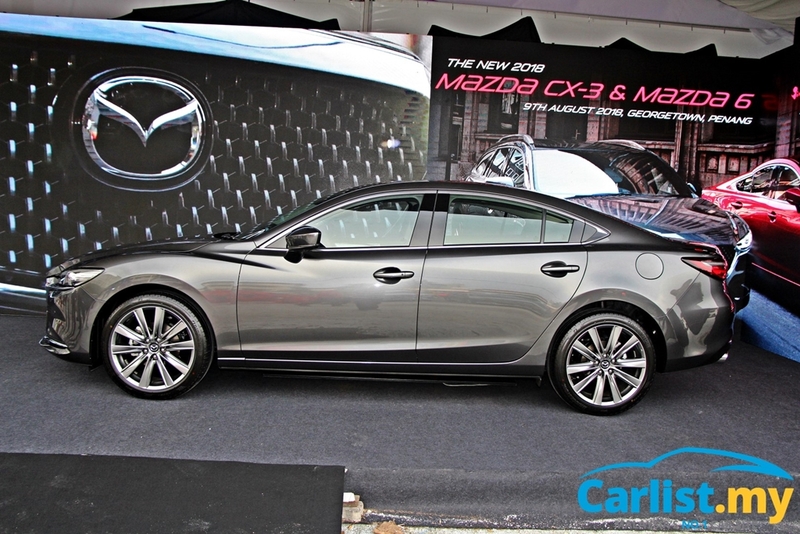 All Mazda 6 models are imported from Japan, and prices will be announced soon. For reference, the pre-facelift Mazda 6 retailed for RM156,191 for the 2.0-litre, while the 2.5-litre sedan was just under RM190,000 and the Touring was RM 4,000 more. 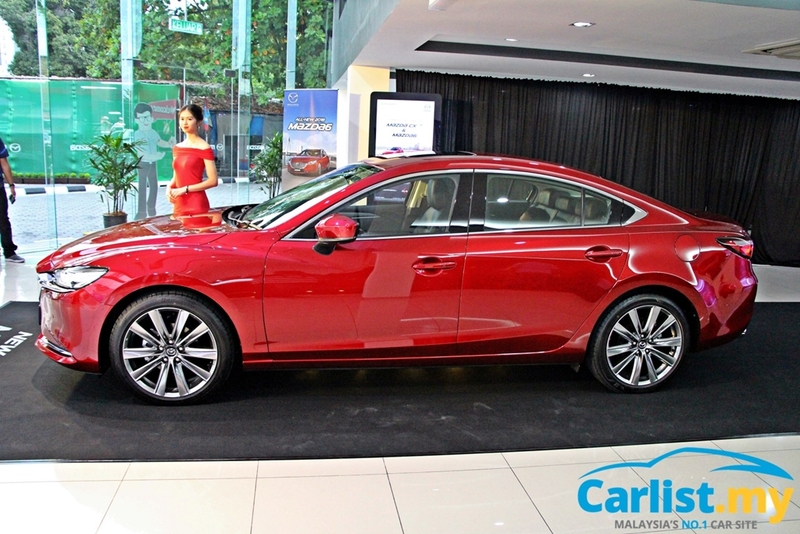 The diesel variant was the highest priced in the Mazda 6 line-up, priced at RM197,402.  These were prices from June 1st 2018, with zero-rated GST.